Definition (NCI) A traumatic or pathologic injury to the femur in which the continuity of the femur is broken. Definition (MSH) Fractures of the femur. Definition (CSP) breaks or rupture in bone situated between the hip and the knee, the femur. Definition (NCI) Traumatic or pathological injury to the hip in which the continuity of either the femoral head, femoral neck, intertrochanteric or subtrochanteric regions is broken. Symptoms include pain in the hip or groin, bruising and swelling in and around the hip area. 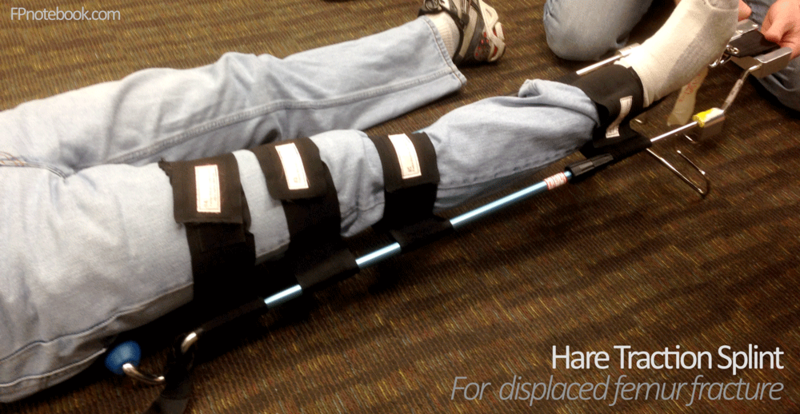 The injured hip is turned outward and the leg appears shorter on that side. Definition (NCI_CTCAE) A finding of traumatic injury to the hip in which the continuity of either the femoral head, femoral neck, intertrochanteric or subtrochanteric regions is broken. Definition (CSP) breaks or rupture in bones or cartilages of the hip; for fractures of the femoral shaft below the subtrochanteric region use LIMB FRACTURE. Definition (MSH) Fractures of the FEMUR HEAD; the FEMUR NECK; (FEMORAL NECK FRACTURES); the trochanters; or the inter- or subtrochanteric region. Excludes fractures of the acetabulum and fractures of the femoral shaft below the subtrochanteric region (FEMORAL FRACTURES).